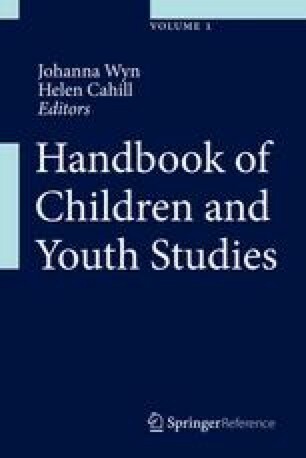 This chapter discusses the use of poststructural theory as a way to inform identity work within a youth-led HIV prevention program in Asia, entitled NewGen. Many HIV prevention programs which serve those “at risk” focus on changing the behaviors that are deemed to put the individual at risk; however, this places a disproportionate focus on individual rather than sociocultural explanations and can inadvertently lead to stigmatization and exclusion. Using a logic of change informed by a poststructuralist understanding of identity opens the space to create a different kind of program, one in which the emphasis is on a repositioning from victim to leader. A poststructural focus on positioning and subjectivity emphasizes the socially constructed nature of identity and highlights the importance of social factors, rather than individual behavior, in the ways identities are formed and lived. The pedagogies used within the program are designed to facilitate a (re)positioning, (re)imagining, and (re)enactment of the self. The course positions participants as leaders and advocates rather than simply as members of key populations identified to be at higher risk of HIV exposure. In this chapter the ways poststructural theory informs the design of the NewGen course are discussed. Data collected about participants’ experiences of the NewGen course illustrates their response to the methodology as a form of identity work. Julia Coffey would like to acknowledge that the work was done while she was employed as a Research Fellow at the Youth Research Centre, University of Melbourne.